Social media sites like Facebook, Twitter, Instagram, Periscope, Pinterest etc. are a great place to find your target audience and get in touch with them. Often we focus on building engagement with readers there and then work on getting them back to our blog. Social media sites however are also a great place to build your list. And when they're on your list it’s easy to get back in touch with them when your favorite social media site changes its algorithm and your audience suddenly is not seeing all your posts in their feed anymore. 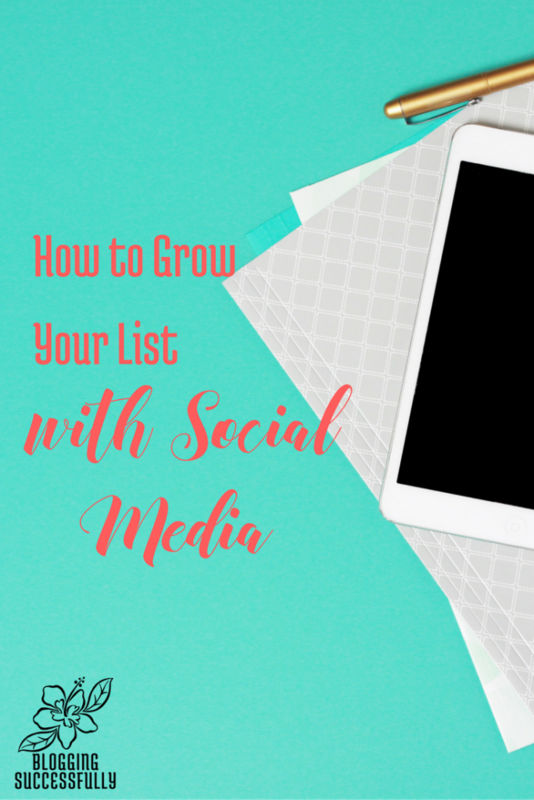 The benefits of focusing on building your list first on social media don’t stop there. Growing your list allows you to direct your readers where you want them to go. Have a blog post that could use some comments, interaction and social media love? Email your subscribers a link to your blog post. Have a pin that could use an extra boost, send your readers there and encourage them to repin. Have a Facebook post that’s on the verge of going viral? Email your list about it and ask them to like, comment and share. This site uses affiliate links. Click here to read our full disclosure. The first thing you want to do is set up a dedicated opt-in page. Kim Garst of Boom Social, does this well. A dedicated Opt-in page is a simple page on your blog or website that’s set up with the sole purpose of convincing readers to sign up for your list. If you want to get fancy, you could even set up a different opt-in page for each social media page and customize your content to those audiences. These are especially easy to do with LeadPages. Or you could keep it simple and just create just the one page you’ll use everywhere. Next, log into your social media profiles and either add or replace your regular website URL with the new opt-in page URL. This one change will start to send a nice little stream of social media traffic to this page and grow your list. As readers check out your profile, and click through to learn more about you and your blog, they will see your special welcome and opt-in gift and end up on your list. One week, you may highlight a particular benefit of being a list subscriber. The next, you may give them a hint about an email that will go out the following day, inviting them to sign up so they don’t miss it. Or you could offer them an exclusive coupon or offer that will go out to newsletter subscribers only. Ask your followers to share and invite people to your list for a certain gift you are offering. Try a few different types of posts until you find what works well on each social media platform. 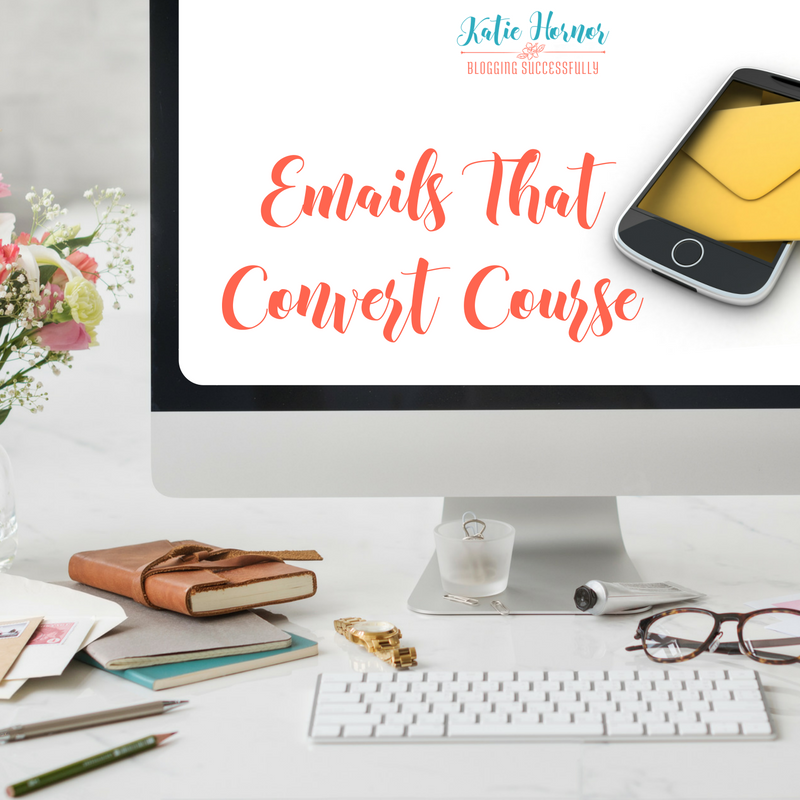 For more ideas for growing your list, check this post or sign up for your Emails That Convert Course. In 6 lessons, you can be emailing like a pro!